One April I’d been crappie fishing with minnows all day, and late in the afternoon I found a brush top in the middle of an old slough. 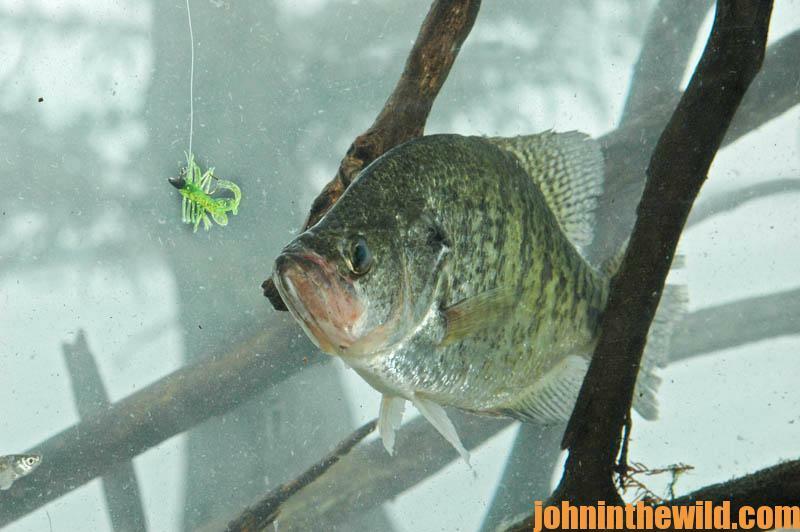 Big crappie were stacked in there like cordwood. 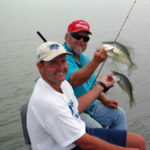 The bite was so good, I recycled the same minnows two or three times each to catch more big slabs. Finally, my last minnow looked like it had been through a meat grinder. Digging through my tackle box, I found three, 1/16-ounce crappie jigs. 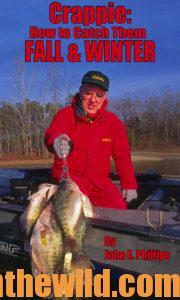 At that time I’d heard about jig poling for crappie, but never had tried it. But I was desperate. The big crappie were biting, and I was out of bait. If I wanted to keep catching those slabs and fill-up my cooler, I only had one choice. I had to tie the jig on and see what would happen. 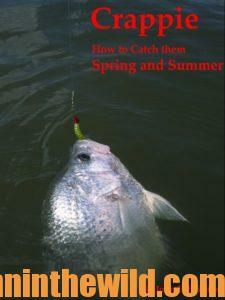 I eased the jig down into the same hole in the brush where I’d been catching crappie. Before the jig was 2-inches underwater, the tip of my pole bent to kiss the water. 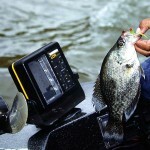 Working the big slab through the brush, I got it up to the side of the boat where I could use my dip net to land it. For the next hour, I used the jig to explore every open spot in that brushpile. 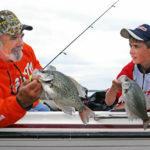 As the sun was going down, I barely was able to shut my cooler’s lid, because it was so tightly-packed with big, slab-sized crappie. 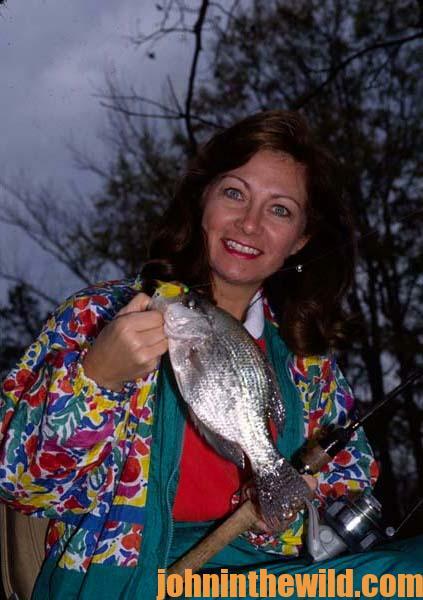 That was many years ago, and that’s how I became a fan of jig poling for crappie. A few years later, I was fishing with the late Red Cotton of West Point, Mississippi, a legendary angler on the 234-mile Tennessee-Tombigbee Waterway that ran along the Mississippi/Alabama border. 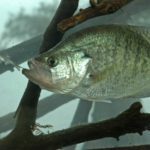 Red had developed the most-unique method I’d ever seen for catching big crappie that he called beaver-stick fishing. Red would go to a beaver dam and collect a boatload of beaver sticks (3-6 feet long and 1-3 inches around sticks with all the bark removed that beavers had sharpened on one or both ends). Red then put the beaver sticks just-off the bank of the main river channel, 6-10 feet from shore and 20-30 feet apart. He pushed each beaver stick into the mud on the bottom to hold securely against the current. Red would maneuver his boat to put a jig in the water and swim it up to the beaver stick and around the sides of the stick. 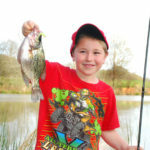 If he didn’t get a bite in the first 2 inches of water, he’d lower the jig down and repeat the same action until the jig was near the bottom of the stick. 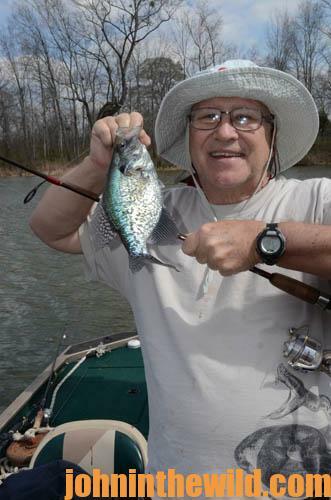 However, he almost always caught a big slab crappie in the first foot of water. Red used a slow-swimming action without jerking or hopping the jig. When the jig got on the downcurrent side of the stick, he’d hold the jig steady like a minnow holding in the slack water behind the stick. 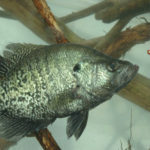 If a crappie didn’t take the jig as soon as it hit the water, it almost always attacked when the jig was held still about 4-inches under the surface on the downcurrent side.